Progress Software Corporation is a leading global provider of automated business process management solutions. The company’s product, Progress OpenEdge Business Process Server (henceforth referred to as Business Process Server or BP Server), is a comprehensive business process management platform, which enables companies to quickly transform their business processes into flexible and manageable Web applications, distributed over intranets, extranets, and the Internet. Business Process Server addresses every stage in the business life cycle: define, integrate, publish, monitor, analyze, improve, and control. By adopting an end-to-end approach, Business Process Server incorporates all the key elements required to meet the ever-changing demands of e-business while ensuring e-business success. By providing integrated management tools, Business Process Server lets you monitor operations proactively, modifying automated processes dynamically based on changing external operations online. 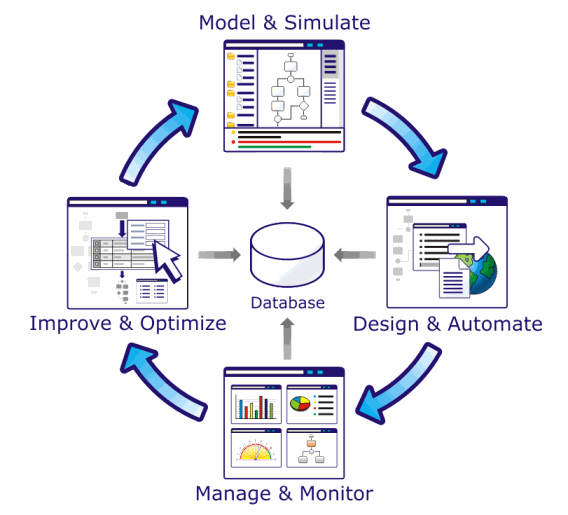 An overview of a typical automated business process management solutions is shown in Figure 1.